Too funny – this picture is circulating around the net and showcases some really good Photoshop skills to include batterer Chris Brown, Officer Rick Ross, and Fat Joe. The funniest aspect of this mock up though is the ‘We Arrest’ (play off ‘We the best’ by DJ Khaled) Music Group … something tells me that 50 Cent and the thisis50.com boys are at it again. These Internet Soldiers are working overtime to globally disgrace people … welcome to the new age of hip-hop beef. 50 is too much in this. 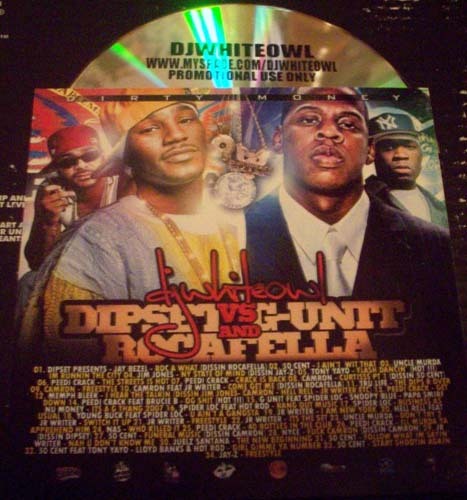 This mixtape takes one back down memory lane to the late 90’s to early 2000’s when the hip-hop game was fierce with lyrical competition from the likes of Freeway, Beenie Siegel, Jay-Z, 50 Cent, Camron, Juelz Santana and others. DJ Whiteowl produces a nice blend of popular and underground tracks. Tony Yayo and Lloyd Banks from 50’s G-Unit are talking ish about various rap artists – about who is relevant, whom they have ‘Terminated on Site’, but it is really funny that these irrelevant artists are talking about others relevance – classic hip-hop irony. While most of us look forward to retirement, Shawn Carter, better known to the planet as master rapper Jay-Z, couldn’t stand the view from the sidelines following his 2003 farewell The Black Album. Despite a frenetic schedule as president of Def Jam Recordings and co-founder of its ultra-successful Roc-A-Fella Records imprint, Jay-Z managed to squeeze in a comeback last year with Kingdom Come, his 11th studio album, which debuted at the top of the pop and rap music charts, selling some 2 million copies. But those weren’t the only paycheques coming in. Jay-Z also owns the 40/40 Club sports bar franchise, with locations in New York and Atlanta, and a small stake in the NBA’s New Jersey Nets. (He’s often photographed in courtside seats alongside his girlfriend, pop superstar Beyoncé.) Plus the native New Yorker (from Brooklyn’s hardscrabble Marcy Projects) collects income from blue-chip endorsement deals with Budweiser, Hewlett-Packard (nyse: HPQ), and General Motors (nyse: GM). All told, Jay-Z banked an estimated US$34 million in 2006, earning him the top spot on Forbes’ first-ever list of hip-hop Cash Kings. Generally, the most successful “hip-hopreneurs” run their own labels, taking a cut from the artists they sign. Both Eminem (US$18 million) and Dr. Dre (US$20 million) boast Interscope-backed imprints; both helped produce and release 50 Cent’s last two albums, which have sold over 20 million copies worldwide. Fifty owns his own G-Unit label which produces artists like Young Buck and Lloyd Banks, among others. Other lucrative businesses: producing tracks and beats for other artists. Listers like Timbaland (US$21 million), Scott Storch (US$17 million) and Pharrell Williams (US$17 million) are among the most sought after–and pricey– producers on the planet. Rappers like Snoop Dogg (US$17 million) collect massive fees for cameos on other artists’ tracks. Last year, in addition to releasing Tha Blue Carpet Treatment, his eighth studio album, Snoop Dogg (US$17 million) made guest appearances on hit singles by Akon, Mariah Carey and the Pussycat Dolls. While endorsement deals with top-shelf brands used to be the exclusive domain of pop’s biggest acts–Michael Jackson and Madonna, among them–hip-hop artists now routinely land such gigs. This year Chamillionaire (US$11 million) inked a deal with Energizer; The Game (US$11 million) peddles Skechers sneakers. And in an irrefutable sign of just how corporate hip-hop has become: Last October Anheuser Busch named Jay-Z “co-brand director” for Budweiser Select. Our estimates are based solely on 2006 income. 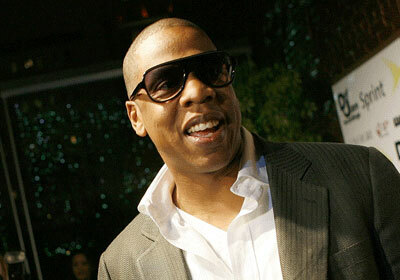 In March, Jay-Z sold his Rocawear apparel label to Iconix (nasdaq: ICON) for US$204 million. Forbes estimates he pocketed about a quarter of that, after taxes and other payable commitments. And in May, Coca Cola (nyse: KO) announced it would buy Glaceau, maker of VitaminWater, for US$4.2 billion in cash. Once the deal is consummated, 50 Cent, who agreed to endorse the brand in 2004 in exchange for a small stake, should walk away with some US$100 million. Best efforts were made to contact every member of the list for comment.